Want to read the honest review of Ancel FX4000? Then you’ve landed on the right page. 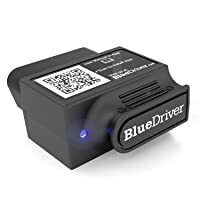 Being a mechanic, I was looking for a scanner that could scan vehicle of different brands. Besides, I wanted a scanner that could not only perform basic but also advanced functions. After buying and testing ANCEL FX4000, I can say that is a brilliant and highly effective scanner. This is my experience while using ANCEL FX4000. FX4000 OBD2 scanner is well built with a large and high-definition TFT screen, easy-to-read UI and thousands of DTC tips. 3 Who Should Buy Ancel FX4000? One of my friends who own a 2016 Mitsubishi Outlander Sport was stack on check engine lights. However, he was not able to figure out the problem. After reaching out to me, we decided to scan the vehicle using ANCEL FX4000. In less than a minute we were able to read the ABS error codes. 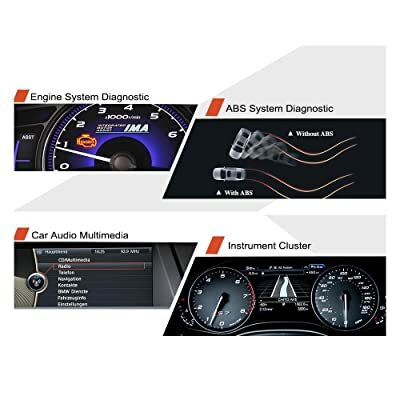 To make it even better, the ABS diagnostic trouble codes were defined on the screen. I established that there was severe friction that existed between the ground and the car tires. We followed the ANCEL FX4000’s on-screen step-by-step instructions to fix this problem. After fixing the problem and clearing ABS codes, my friend decided to test-drive the car. The results were excellent. There wasn’t much friction between the road and the tires. Even more interesting is that the ABS fault codes didn’t pop up. This is simply an incredible scanner. I noticed that the scanner could freeze during diagnosis. I had to reset the scanner, wait for a couple of seconds and turn the ignition on. Thereafter, ANCEL FX4000 just worked fine. On a day to day basis, I deal with vehicles that have issues with the brake system. Initially, I used to encounter problems in identifying the exact fault within the brake system. That’s when a mechanic friend of mine recommended ANCEL FX4000. My latest encounter involved diagnosing and servicing the entire brake system of a Honda Odyssey. And honestly speaking, ANCEL FX4000 did an amazing job. First, I was able to deactivate the brake control system using ANCEL FX4000. Thereafter I used the scanner to open the brake pads. After replacing one of the brake pads that were defective and breeding brake fluids, I was able to effectively close the brake pads with the help of the scanner. It’s basically what I had been looking for. While I was working on the braking system, I often obtained a linking error. However, after turning off the ignition key and turning it back after 10 seconds, the error disappeared. My father drives a 2004 BMW and he just loves this car. After he had seen me perform a number of diagnoses using ANCEL FX4000 he decided to buy his own scanner. Recently he came to me with oil light service reset codes after he had scanned his vehicle. After examining the codes I knew it was time to change the oil in the car. We put fresh clean oil and cleared the error code. After turning on the ignition and powering the engine, the error was gone. After a week he called with good news. His BMW was doing fine and error code had not popped up. ANCEL FX4000 is truly a reliable scanner. 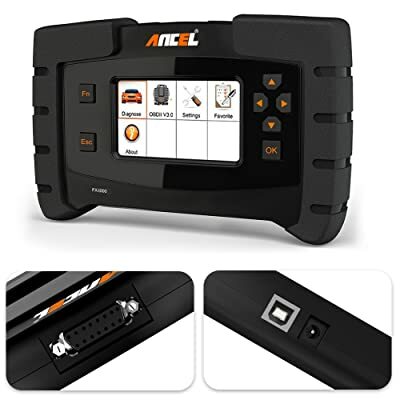 When I connected the ANCEL FX4000 to 2004 BMW the system it initially failed to read the serial number from the scanner. However, after connecting to my PC and using a USB cable to update the software, the system was able to read the serial number. I find ANCEL FX4000 having an edge over other scanners that I have used before when it comes to compatibility. Even with my line of work, I haven’t come across a vehicle that I couldn’t scan with ANCEL FX4000. 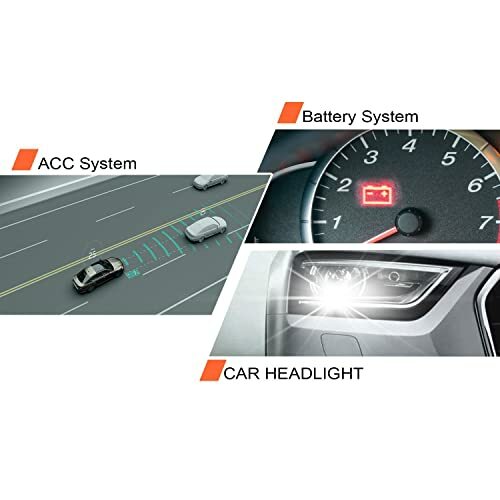 When I checked the manufacturer’s manual it says that ANCEL FX4000 can scan over 40 global vehicle brands. The FX4000 can scan all vehicle manufactured in the US as from 1996, 2003 Asian, 2001 European and any other OBD2/EOBD cars. I find this scanner really ideal not only for DIYers but also for mechanics who own small mechanic shop. 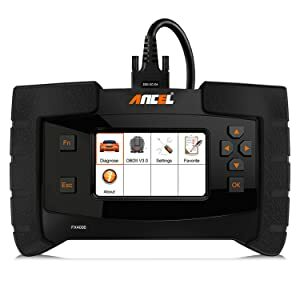 I find that the ANCEL FX4000 scanner can give false codes when diagnosing OBD1 vehicles. But the codes were accurate when scanning 0BD2/EOBD cars. Who Should Buy Ancel FX4000? Having a background in mechanics, I really love using this Ancel FX400. However, my father has one of this and he is really finding the scanner Ancel FX4000 easy to use without any background in mechanics. I can confidently say that ANCEL FX4000 is basically built for DIYers as well as mechanics who own small mechanic shops. ANCEL FX4000 has taken my ability to service and repair vehicles to the next level. I can diagnose and fix most of the problems in all OBD2 car models. It’s a scanner that I would recommend it to any DIYers who wants to cut cost on maintenance and for mechanics who own small shops.